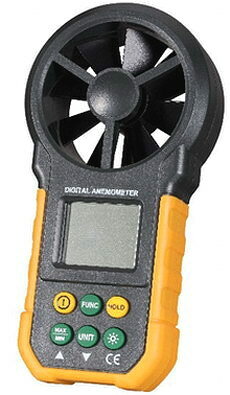 APPLICATION: Installation, debug and repair for refrigeration industry, ventilation duct, environment monitor, navigation measurement, weather forecast, collection of the weather datum for outdoor busywork and fire department. * Selection among max wind speed/ min wind speed/ average wind speed/ current wind speed. Slim sensor allows operation in small space and the extended handle can be used for more limited occasions. 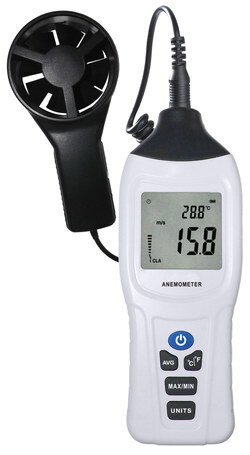 SR5280A anemometer is a unit with high stability and advanced sensor technology. 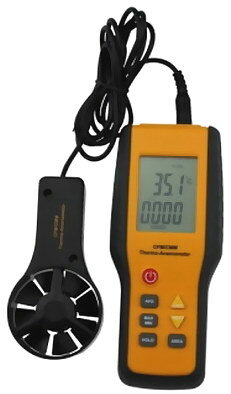 It is suitable for the measurement of air speed and temperature under normal ambient temperature. 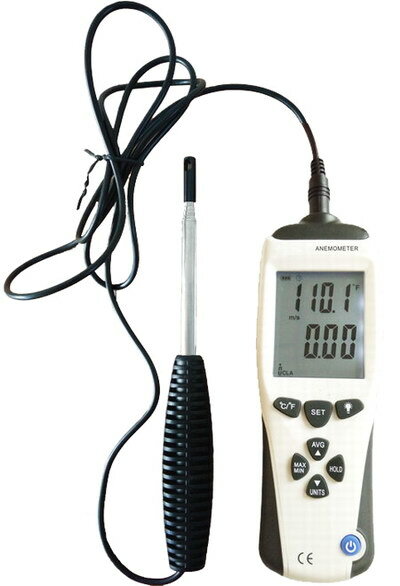 It is a ideal instrument in environmental monitor stations, hospitals, building air conditioning heating, ventilation test and calibrating temperature. This model has the advantages of easy operation, rapid measurement, safe usage and portability. 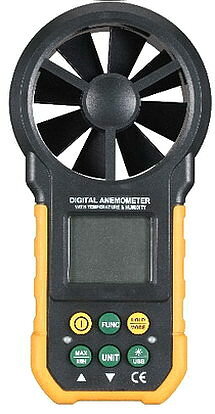 It is widely used in the measurement of environment temperature and air speed. It designs as a lower-power and intelligent way. 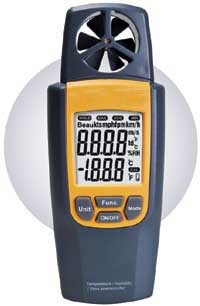 It has backlight LCD display and has the function of default parameters saved and measurement data maintained automatically which can avoid to reset for each power on. 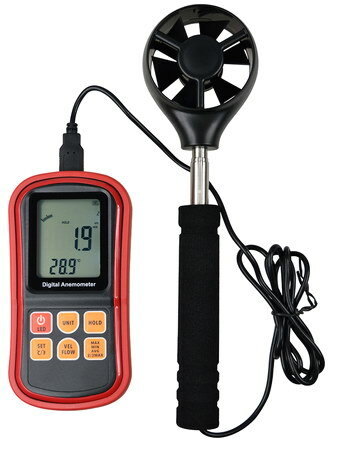 SR5280B anemometer is a unit with high stability and advanced sensor technology. 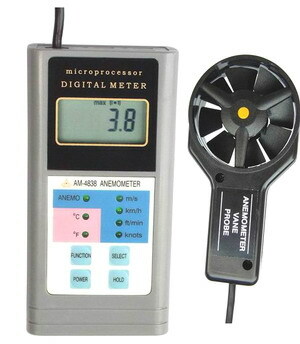 It is suitable for the measurement of air speed, air flow, temperature, humidity, wind chill, dew point, wet bulb. etc. 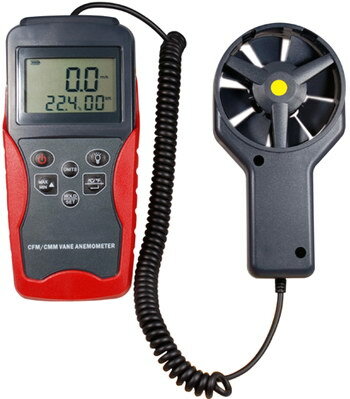 It is a ideal instrument in environmental monitor stations, hospitals, building air conditioning heating, ventilation test and calibrating temperature. 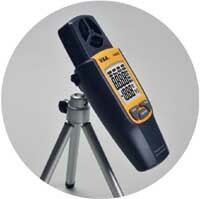 This model has the advantages of easy operation, rapid measurement, safe usage and portability. 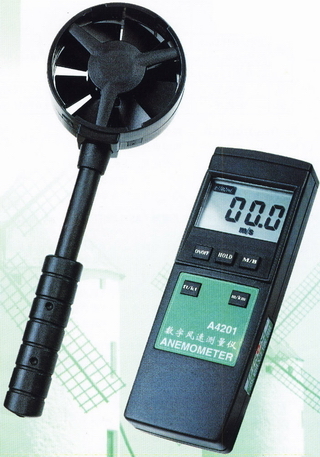 It is widely used in the measurement of environment temperature and air speed. It designs as a lower-power and intelligent way. 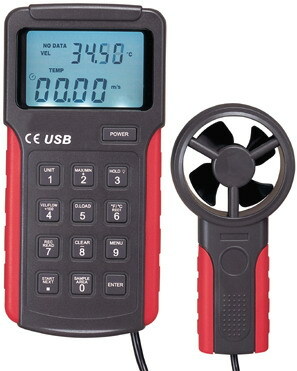 It has backlight LCD display and has the function of default parameters saved and measurement data maintained automatically which can avoid to reset for each power on. 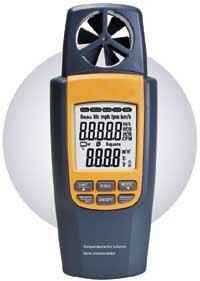 SR5280C anemometer is a unit with high stability and advanced sensor technology. 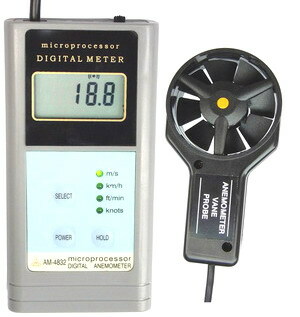 It is suitable for the measurement of air speed, temperature, humidity, wind chill, dew point, wet bulb etc. under normal ambient temperature. It also has the function of compass. 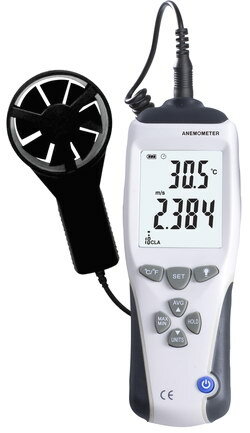 It is a ideal instrument in environmental monitor stations, hospitals, building air conditioning heating, ventilation test and calibrating temperature. It's helpful to recognize the direction in outdoor. This model has the advantages of easy operation, rapid measurement, safe usage and portability. * High Sensitive and Accurate. * White color is also available. TAM821: Flow velocity measuring instrument. 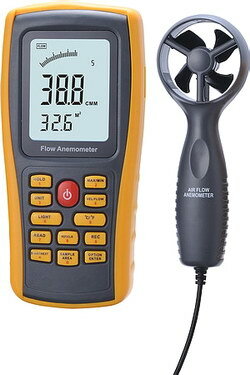 TAM831: Flow velocity measuring instrument with temperature measurement and chill temperature. 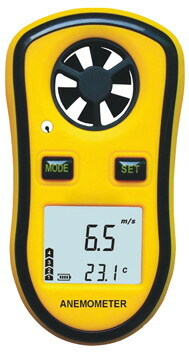 TAM841: measure flow speed, volume flow, temperature and chill temperature. Measure: M/s, km/h, fpm, mph, kts, Beaufort scale, °C, ºF, wind chill. 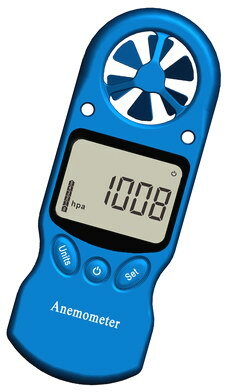 Special function: Auto power off; Data hold; MAX, MIN and AVG; Backlit; Overload display; Low battery indicator. Note: Standard cable 1.5m, other length can be specified. Portable instrument, using and carrying are convenient and flexible, it is hand-held used, but also fixed. Display with a lot of unit, wide application field : meter/second , kilometer/hour, knots (knots/hour), ºC/ºF. 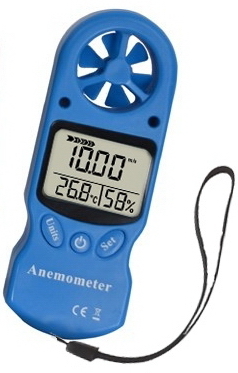 The anemometer can provide measurement more freely and more convenient with separated sensor. The design of the lengthened sensor make operator can't be hurt in high temperature measurement. 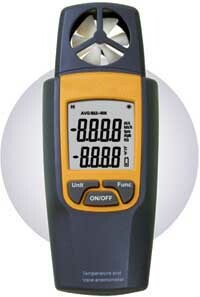 Measurement values and unit are displayed at the same time; Large LCD display for clear and accurate read out. Used new components can make power consumption more decreased, service life of the battery is long. 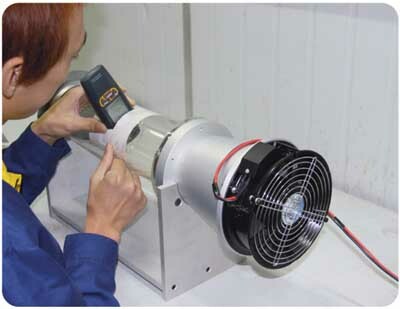 Accuracy and high speed bearing result in high sensitivity, wide measuring range, free running. Data hold, low battery indication.